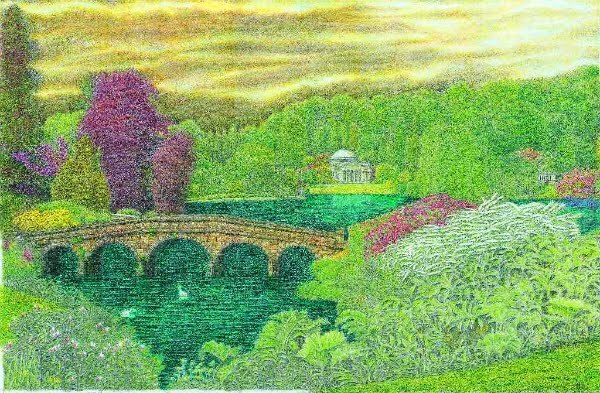 The jewel in the Stourhead crown has to be the world-famous 18th-century landscape garden. A magnificent lake shimmering with reflections of classical temples, mystical grottos and rare and exotic trees. Secrets of the Hoare family history are revealed at Stourhead House (originally the family holiday home!) with the chance to discover the unique Regency library, collections of Chippendale furniture and inspirational paintings, all set amid 'picnic perfect' lawns and parkland. The lake and house are at the heart of a 1,072-hectare (2,650-acre) estate where chalk downs, ancient woods and farmland are managed for people and wildlife to enjoy.